One would think that Summers are a quiet time for the average College student, but not the Cadets of the Golden Knight Battalion. Although some Cadets are undergoing mandatory training, most Cadets aren’t required to do training. So why would a Cadet not chill over the summer and just relax? Professional development, preparation to become an Army leader, and Order of Merit List (OML) points are all reasons why Clarkson Army ROTC encourages their Cadets to volunteer for the optional training that is available, and many of our Cadets take advantage of the opportunities. So, what are the Cadets up to this Summer? Fifteen will attend Advanced Camp (what used to be known as Warrior Forge or LDAC). This is the only mandatory summer training for Cadets during their 4 years. Four will attend Basic Camp. This training is for Cadets that didn’t start fall of their freshman year. It gets them caught up and gives them credit for the basic course (first two years of Army ROTC classes). This year completing the Camp earns you a $5000 bonus when you contract. Three Cadets will be traveling to other countries on Cultural Understanding and Language Proficiency (CULP) missions. Hopefully I’ll get some good stories to publish on the blog once they return. 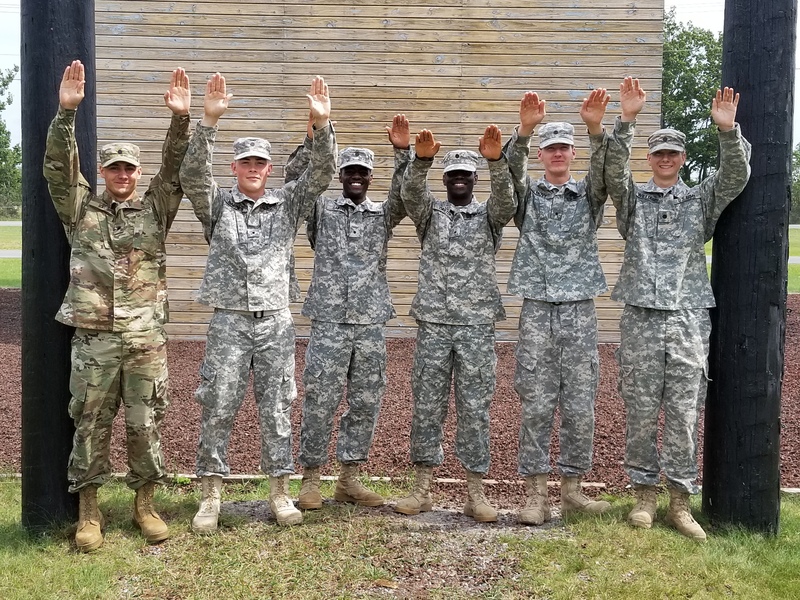 Eleven Cadets were selected for Army Internships. Six will be working with the Corps of Engineers. One will be working in an Army Museum, One will be at MIT Lincoln Labs, and One will even be working for NASA this Summer. Two Cadets will participate in Cadet Troop Leader Training (CTLT). This is the opportunity to spend three weeks shadowing junior officers to learn what the job will be like when you graduate. This year our Cadets will travel to Fort Sill and Korea. The Cadet traveling to Korea will train in an Infantry Company commanded by a GKB Alumni. And finally two of our Cadets will attend Airborne school at Fort Benning and seventeen will be attending Air Assault school to earn coveted Army badges they will wear for the rest of their Army careers. We also have plenty of Cadets doing internships or CO-Ops that aren’t Army related. It’s going to be a busy Summer and we are looking forward to hearing all the stories when we start back up in the Fall.